New South Wales consist of 800,628 square kilometres or 80,062,800 Hectares excluding its islands which consist of 1400 hectares. Mining consists of 0.1% of land across the State. Natural Conservation specified as National Parks and Nature Reserves equal 7.6% or 60848 square kilometres. Urban and Regional dwellings account for 14411 square kilometres. A hectare holds 666.67 trees, a square kilometre is 100 hectares ie: a square kilometre holds a forest of 66667 trees. An Acre holds 270 trees and a quarter acre block is 68 trees. The Premier’s Electorate of Willoughby is 26 Square Kilometres or 2,600 Hectares,or 6424.74 acres, which if undeveloped would be a forest of 1,733,342 trees. In the Sydney area there have been in recent months clearing of trees in Manly Vale 3.6 hectares or 2400 trees. Between Glenmore Park and Narellan as reported on the 18th August over 10000 trees have been removed. In Newcastle 30 mature trees are being removed for the Newcastle 500. Sutherland Shire is removing 7000 trees a year with 90% of tree removal application being approved. 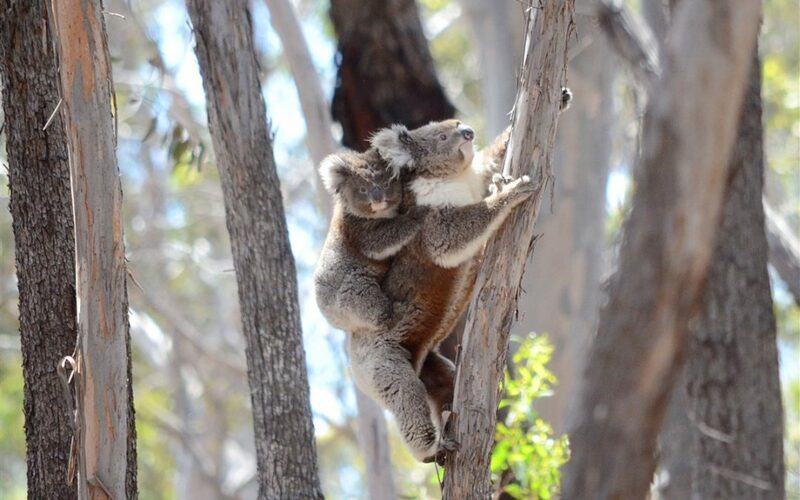 Mt Gilead, an historic farm will be redeveloped into a housing estate removing a key wildlife corridor, that is home to a disease free koala population. Eight of whom have been killed on the roads this mating season alone. The Campbelltown region is proposed to have development that far outweighs the infrastructure that is available to its residents. WHERE IS OUT FUTURE GROWTH? Westconnex has removed 800 trees in Sydney Park and a further 1.87 hectares of critically endangered eco system in the Wolli Creek area, equivalent to 1247 trees. The above add up to 22,727 trees in the last year that have been removed in the Sydney Region. Equating to 34 hectares or an area 1.3 times larger than the Premiers Electorate. This number does not account for trees removed under the 10/50 rule or removed by individual Sydney Councils. A startling story that emerged in my research was that 5042 or 7.6 hectares trees were cut down in school yards across Sydney up until August 2014. The Forestry Industry harvests 3% of trees within its confines, which equates to 890 square kilometres and then left to regrow. But regrowth is not regulated and the land is not replanted by the correct species and pests species infiltrate the regrowth. It is reported that after clear felling only the saw logs are used, after that the land is left to become weedy it is then sprayed with herbicide before replanting in monoculture of blackbutt or bluegum. This results in large erosion events from this forestry practice, the latest resulted in large amounts of soil washed into the river after clear felling. In the Mogo State Forest reports of wombat burrows being buried in the Bateman’s Bay area of the forest during tree clearing operations. The Kerewong State Forest there has been tree clearing of 23000 hectares or 15,333,410 trees of prime koala habitat. Forestry data and satellite maps show the neighbouring off-limits area was itself heavily logged in 2009, removing feed-trees and destroying habitat up to 90% instead of the mandated 40%. Unlawful Logging In the Kerewong State Forest. A leaked document from the NSW Government in June 2017 plans to clear fell 140,000 hectares of north coast forest between Grafton and Taree with proposals to reduce the buffer zones by half. Agriculture is the largest land user in NSW and the effects of the new regulation allowing clearing up to 625 hectares of Category 2 land, which has a high conservation value. The uptake of this is unknown and the amount of trees that will be felled is unknown. Mining is the industry that has the least land use in NSW, around 801 square kilometres, denuding the landscape of any vegetation. Accounting for the loss of 53,400,267 trees, hidden behind new plantings it is difficult to envisage the devastation of the land from anywhere but the air. Rehabilitation of this land is a long term project. Considerations beyond the felling of the States lungs, are the effects of climate change, health and the financial cost of the NSW Forestry Corporation which in the 5 years from 2009 to 2014 lost $78 million in Native Forest logging. We know that logging is a major threat to forest species and drives threatening processes such as the loss of tree hollows and bell-miner associated dieback. All the tree felling is to be offset, either by financial recompense or by tree planting in other areas. This is an inadequate trade off – trees take time to mature, a Eucalypt tree is not mature for ten years, the only food available for koalas. A Morton Bay Fig will live for over 100 years providing food and shelter to many species of fauna. The Prime Minister’s 2 million tree project, will only cover 30 square metres of land, not much larger than the Premier’s electorate.